Yellowstone (for those of you who are not familiar) is absolutely full of wildlife. Mountain Goats, Bison, Elk, Bear, Wolves, Coyotes, and Eagles are just a few of the numerous species that one can see during a trip. 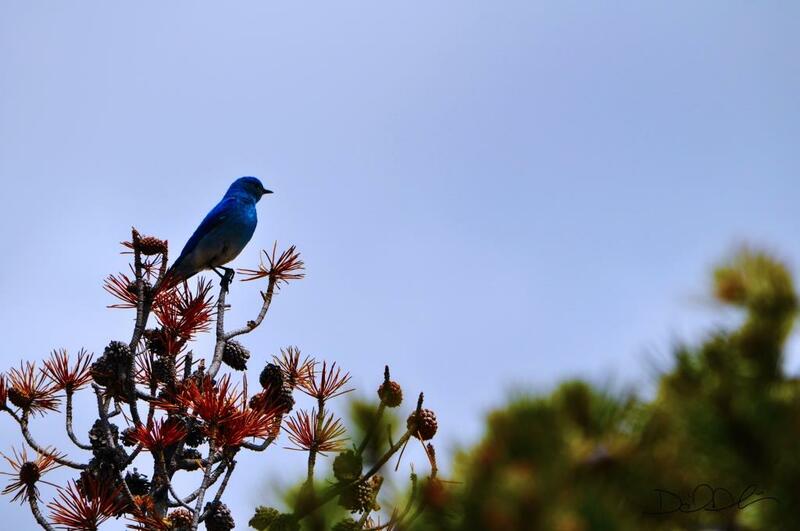 While walking through Upper Geyser Basin (the area immediately surrounding the Old Faithful Inn), we saw our only Yellowstone Bluebird. The colors of the bird were amazing, especially in such an area. It lighted on this apparently dying conifer, and the contrast between the orange needles and the hue of the bird had me scrambling for my camera. I was just glad it stayed there long enough for me to get the picture. Hope you all enjoy!